When the Anderson family moved from Northumberland to Mayo in the early 1850′s three of the brothers Ephraim, George and Archibald were based at Hollybrook House, while the rest of the family lived and farmed at Brize House, then Mayo Cottage, close to Knockroe and then Knockroe House. Why did the Andersons move? After The Irish Famine some Irish landlords deliberately cleared tenants from tracts of land to form large sheep grazing farms and looked for English and Scottish shepherds to manage their new concerns. At the same time in England Enclosure Acts were preventing small farmers from using areas of common grazing land, so adding to the difficulties for families like the Andersons to run viable farms. The 1851 Crean Lynch and Anderson agreement [Carolyn expects to have permission to show transcripts and images of the agreement by August 2015] shows that Ephraim and Archibald were in Ireland in the summer of 1851 and they arranged to lease Hollybrook House and various parcels of land from Patrick Crean Lynch. By 25 September 1851 Ephraim was being described as ‘of Hollybrook House’ while Archibald used a Newcastle-upon-Tyne address. 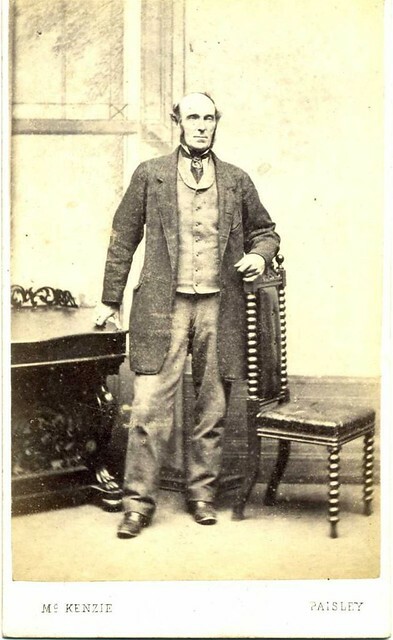 Archibald continued to appear in the English census returns as living in Northumberland whilst the 1851 census is the last one to include his brothers. The family oral history is that all the brothers went to Ireland so Archibald may have helped set up the Hollybrook enterprise. As Archibald was a cattle dealer his role may have changed, maximising the Anderson farms’ profits by keeping the sale of livestock in England within the family. This scenario is backed up by the Griffiths valuation where the landholders are Ephraim and George, no sign of Archibald. In 1866 Archibald assigned his portion of the lease to Ephraim. 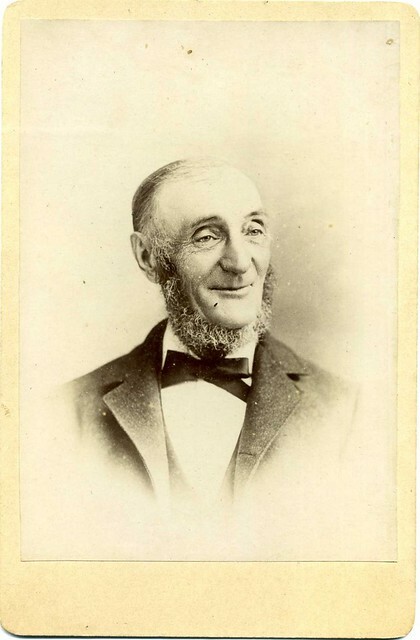 Ephraim 1819-1893 moved to Hollybrook with his wife, and cousin, Mary Ann nee Anderson 1825-1890 and their six offspring. All these six offspring would leave Mayo but John Anderson 1860-1943 who was born at Hollybrook lived there all his life. George 1823-after 1900 moved to Hollybrook with his wife Catharine nee Lamb and two offspring. 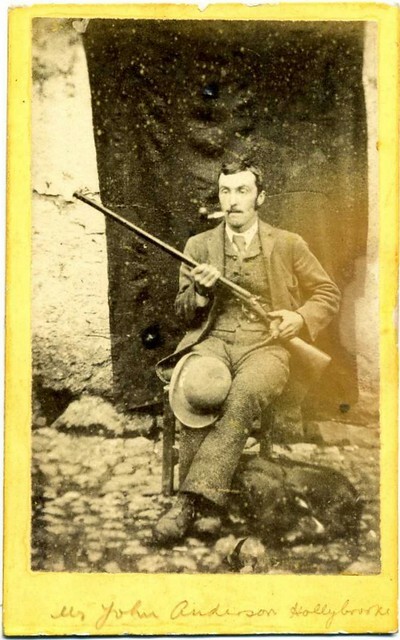 Seven more would be born in Mayo before George and his family emigrated to the USA ca 1874. John Anderson 1860-1943, born at Hollybrook, married Clara Greated c1862-1942 in 1893, the same year as his father Ephraim died. They had one child who was born and died on the same day. Documents survive to show that in 1908 John received a Notice to Quit Hollybrook, but John and Clara continued to live at Hollybrook for the rest of their lives. Clara died in 1942, followed by John in 1943.